I have a serious beef with marketing buzzwords and jargon. I know every industry has it’s own lingo, but the marketing world seems to have a ridiculous amount of buzzwords (synergy, seriously?). There are even buzzword offshoots of other buzzwords. Essentially jargon that isn’t cool anymore so they came up with a new word with exactly the same meaning. It’s all getting a little out of control. Excuse my rant, but it can get pretty ridiculous. Especially when you’re trying to work through the fluff to figure out what you actually need to learn when trying to improve your business. If you’re like us, you’re probably also sick of the frou-frou. That’s exactly why we’ve compiled a list of the most important SEO terms you need to know about. These are the most straight-to-the-point explanations which will help to get you up and running with SEO in no time. The formula Google, Bing, Yahoo and other search engines use to determine where web pages rank in a search. Different search engines use different algorithms, but they take similar things into account when it comes to rank. Have you ever had an image not load on a website, and a weird line of text pop up with an image description? This is exactly what alt text is. By adding descriptive alt text you’re giving search engine bots something to index, which will help you to rank better for your desired keywords. I’ll keep this one short–this is bad, don’t do it. These are shady ways of increasing rank. Search engines don’t like black hat techniques and they will punish you. This refers to the amount of people who come to your website and immediately leave. To search engines, having a high bounce rate means visitors aren’t finding what they want. They’ll rank websites with low bounce rates higher than websites with high bounce rates. This is technical term for your website address (www.blackdogmarketing.com). Search engines take into account certain domain name factors like is it a .com, .edu, etc and if there are keywords in your domain. So do your research before committing to a domain name. On the backend of your website you can use heading tags (h1 or h2) which will make the text associated with it bigger than the other text on your page. The search engines see these tags in your code and say, okay these words are important since they are big. Putting your keywords within these tags will give your page a little more SEO juice. When another website links to your website, it’s referred to as an inbound link. The more inbound links the better, especially when those outside websites have a lot of traffic, high rank or lots of web pages. This refers to linking a page on your website to another page on your website. Links make it easier for search engine bots to find and index website information. An easy way to add more internal links is to link to your blog posts to other blog posts on your website (like how we did here). 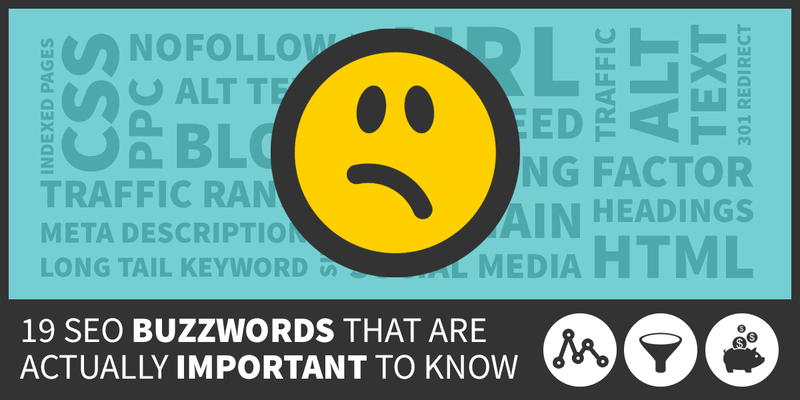 Having a well researched keyword is important, but it won’t help if you don’t use it. Keyword density simply refers to the amount of times your target keyword phrase is used per page. But don’t get too carried away, your page can be penalized for having too high of a keyword density. So don’t add your keyword where they don’t belong, they’ve already thought of that. The simplified version – working to get more inbound links on to your website. Some easy ways to do this are getting active on social media, guest blogging, content creation or press releases. 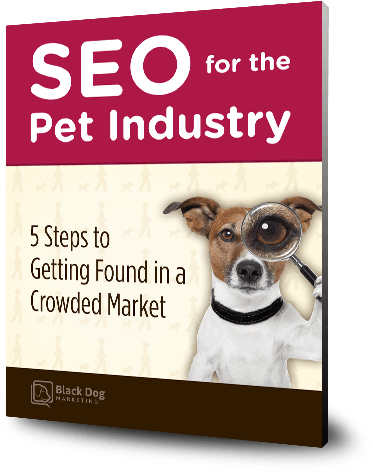 There are businesses out there that can rank for general terms like “pet”, but most likely they’re mega businesses who will get traffic no matter what. Instead of trying to compete with those big brands try for phrases with two or more keywords like “specialty pet food”. These are more specific keywords, but you’ll have a better chance of high rankings. When your web page shows up in a search, it will show the page title, a link and a brief description of what’s on that page. That brief description is otherwise known as the meta description. Meta descriptions are a great way to attract traffic and tell visitors why your web page is better than the other ones displayed. This is the page name which can be seen at the top of the page in your browser or what shows in a new page tab. The more keywords you can add to your page title the better. Google, Yahoo and Bing are all search engines. Search engines search websites using their bots to figure out how to rank pages across the web. An abbreviation for search engine ranking page, or the page that a search engine sends you to display the search results. This is essentially a map of your website. A sitemap is an easy way for not only visitors to find the information they want, but also the search engine crawlers. With all the links nicely laid out, crawlers can much easier jump from page to page and index information. These are little programs that jump from page to page of websites all over the web. Once they latch on to something, they read the information and index it. But if you have broken links or virtually no text on your website search engine crawlers won’t be able to properly index your website. This refers to the amount of visitors who come to your website. There are different kinds of traffic, which can tell you different things about your visitor behavior. The domain name is the main web address, and a URL is the name of a page on your website (www.blackdogmarketing.com/about). Excellent and helpful in all respects! What in the World is a pingback. I get these all over my blog and in my spam filter for comments. Also, tons of us wish we had the time to write a blog (it takes me about 5 hours per post!) Suggestions to delegate this out or make it take less time? A pingback is just a notification that your post has been linked from another persons post or website. In terms of speeding up the time it takes to write a post – what seems to be the gating item? Do you have a hard time coming up with topics? DO you spend too much time editing? Where is the 5 hrs going? Free vs. Paid Traffic – Which will Work for Your Business?